What do you wish for on Christmas? Snow? Gifts? A day with family and friends? Great holiday music? While we can’t be Santa Claus or Mother Nature (we can do many things, but creating snow is not one of them), we have just the thing to fulfill that wish for great holiday music. 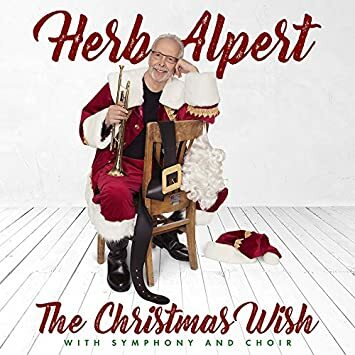 Invite your ol’ friend Herb Alpert into your home this holiday season with his latest Christmas release: The Christmas Wish. Fans have been discussing the album in our forum, and you can also purchase the album from Amazon, available on both CD and a 2-LP set on colored red and green vinyl. 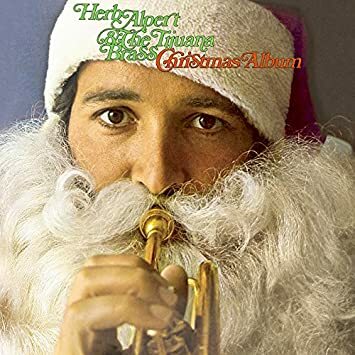 Herb’s prior Tijuana Brass Christmas Album was recorded over 50 years ago–this new album was long overdue! And if you don’t have that first Christmas album, by all means pick it up. It’s a classic! And it’s also available on CD from Amazon. The album features Herb’s arranging touch to put a new spin on a handful of holiday classics, with some vocal seasoning courtesy of his good friend Shorty Rogers (who arranged the voices on this album).